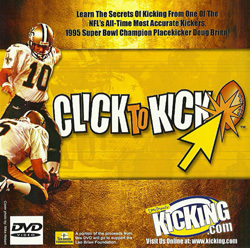 An experience veteran, of 136 games, who is one of the most accurate kickers in NFL history (80.9%) ... His 80.9% ranks 10th All-time in FG accuracy in NFL history ... Originally selected by San Francisco as the first of two third-round picks in the 1994 draft (85th overall). 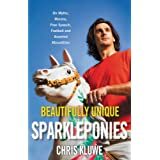 Led the 49ers in scoring in his rookie season with 105 points, the highest total by a 49er since Mike Cofer had 111 in 1989...Established club records for PATs (60) and PATs attempted (62)...Was waived by the 49ers on October 16, 1995 and signed by the Saints October 31, 1995. 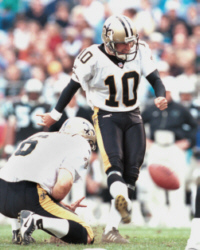 Spent five successful seasons with the New Orleans Saints (1995-99) and became the Club's most accurate kicker in franchise history with an 82.6% FG percentage ... Ranked second All-time in Saints history in points scored (513) and FG (123) ... Ranks fifth all-time on the Saints with 224 career points scored... once had a string of 34 straight FG of less than 40 yards. Recorded the third most accurate season in Jets history during the 2003 season ... Doug retired during the 2005 season with the Chicago Bears. Doug set the California career record for field goals with 56, breaking the mark of 50 set by former Cincinnati Bengal Jim Breech...Is also Cal's all-time leading scorer with 288 points...Earned All-Pac 10 accolades twice...Earned Pac-10 All-Academic team his junior and senior seasons...Holds the record for highest career field goal percentage at 80% (56-70). Holds a degree in political economies of industrial societies with a minor in conservation and resource studies. Married to Shanti. The couple has four children. 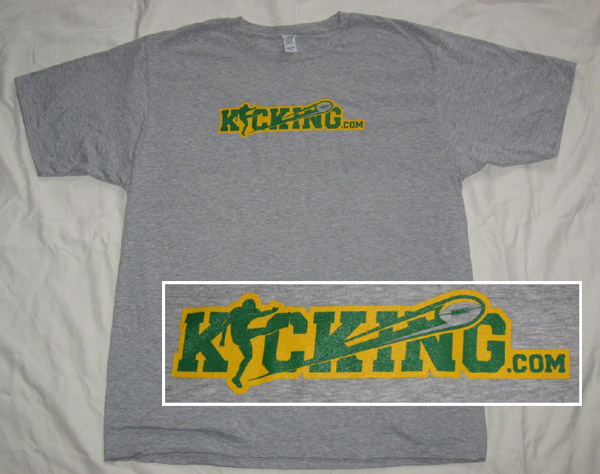 Last year I ordered your kicking CD for my son, Brad... it helped him resolve his kicking routine, and now we're seeing the results in both parts of his game: placekicking and punting.